KIN-TEK Analytical, Inc. | World leader in Gas Standards. KIN-TEK Analytical, Inc. (KIN-TEK), is a world leader and preferred provider in Trace Concentration Calibration Gas Standards with 45 years of experience, accumulated expertise, and trusted collaboration. We specialize in permeation and diffusion tubes and Instrumentation for dynamically creating and dispensing high quality trace concentration gas mixtures. 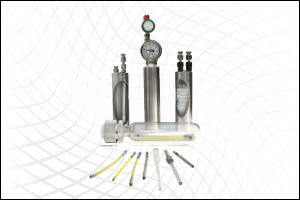 KIN-TEK revolutionized the use of permeation tube technology, and today we provide complete trace concentration calibration gas solutions to solve the most difficult calibration needs. We provide permeation tubes for over 500 chemical compounds, each with a calibration certificate traceable to the National Institute of Standards and Technology (NIST). KIN-TEK Calibration Gas Standards Generators are available in modules and may be configured into systems specifically for your calibration requirements. The KIN-TEK systems use Trace Source™ Permeation Tubes to generate accurate, on-line calibration standards. KIN-TEK delivers trace gas calibration solutions that solve customer problems in the laboratory, field (portable), and process industries! KIN-TEK provides the best calibration solution no matter how difficult the calibration requirements. We provide sales and service support including initial installation and training, field service, factory bench repair, and product recertification and calibration. KIN-TEK delivers trace gas calibration solutions that solve customer problems in the laboratory, field (portable), and process industries! 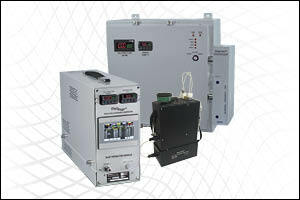 KIN-TEK provides the best calibration solution for the most complex calibration requirements. We provide sales and service support including initial installation and training, field service, factory bench repair, and product recertification and calibration. 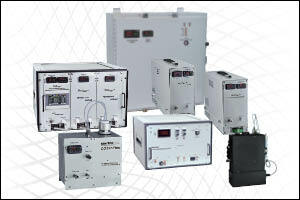 KIN-TEK’s Gas Standard Generators provide accurate, on-demand calibration standards. Individual gas generator modules can operate as stand-alone calibrators or be combined into a Gas Standard Generator System configured to solve the most complex applications.